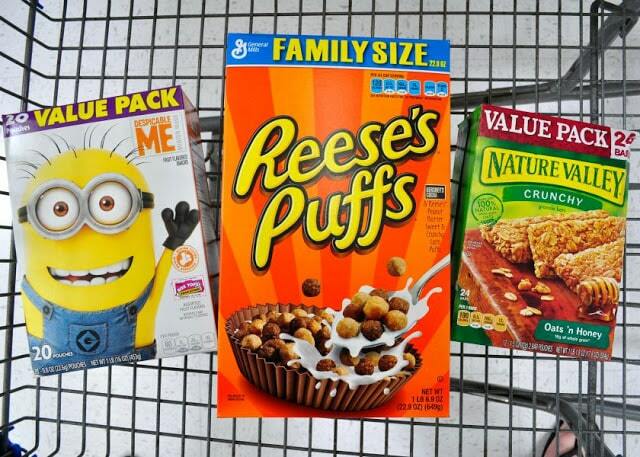 A big thank you to General Mills® for sponsoring today’s post. 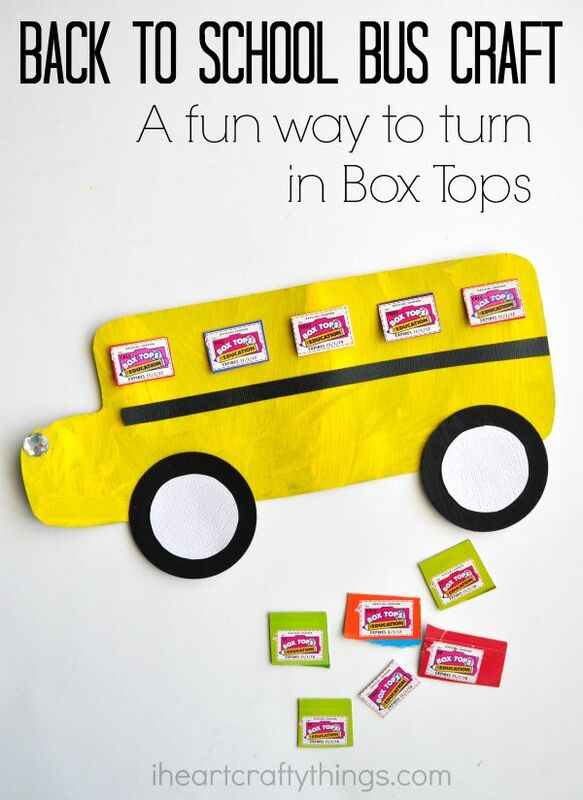 One way we love to gear up for back to school is by collecting Box Tops to turn into my children’s school. Our school has been able to use their Box Tops earnings in the last few years to make some great technology purchases and I have loved seeing firsthand how beneficial the program is. 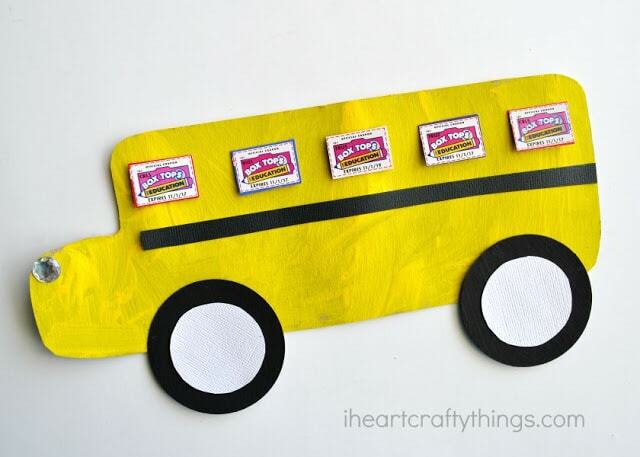 This year to get my kids excited for the new school year we decided to make a fun Back to School Bus Craft with Box Tops that couples as a fun and unique way for children to turn in their Box Tops at school. 1. Take a trip to Walmart and have fun playing our Box Tops Counting Activity. While you are there pick up some of your favorite products with Box Tops. We recently picked up some our favorite cereal and after school snacks. 2. 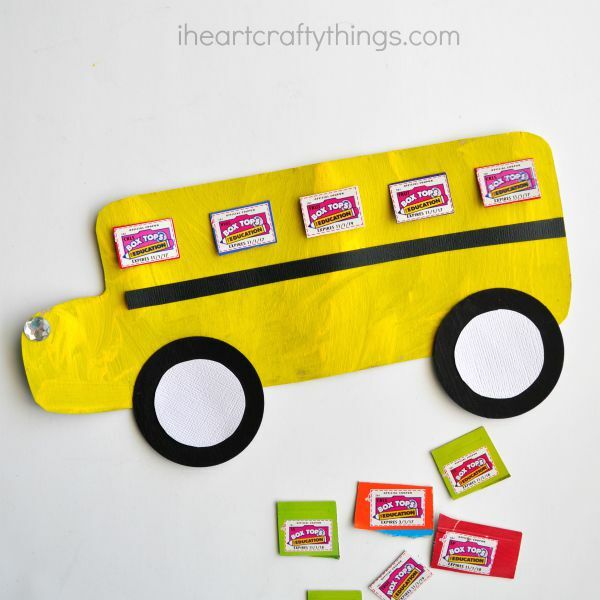 Once you are finished with the contents of the box, cut out the Box Tops and the shape of a school bus. 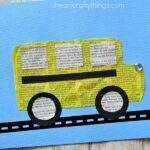 Also cut out two school bus wheels. 3. 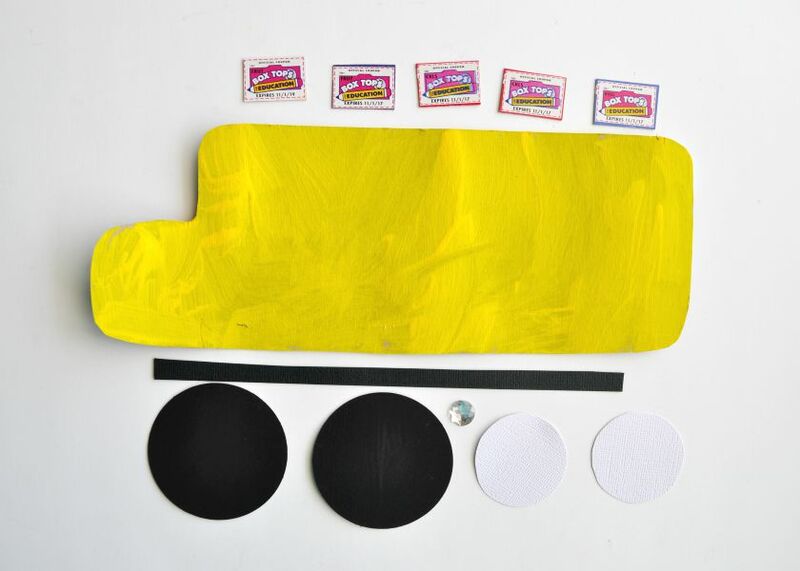 Paint your school bus yellow and your wheels black and set them aside to dry completely. While your paint is drying, cut out two wheel hubcaps from your white cardstock paper and a thin strip from your black cardstock paper. 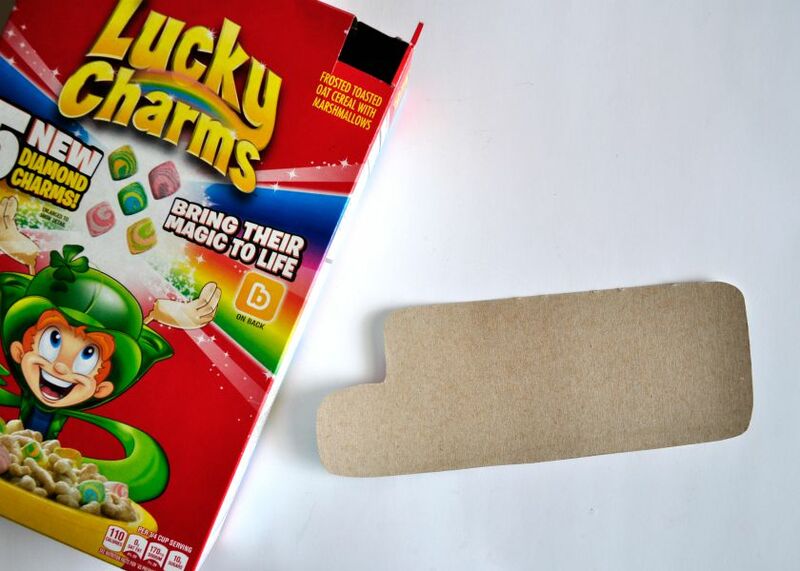 Also, gather 5 Box Tops to use for your windows. 4. Once your paint has dried, glue your wheels, black strip and acrylic jewel onto your school bus. 5. Finish your bus craft by taping your five box tops onto the bus as windows. 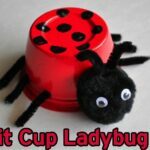 After admiring it for a few days your child can take it to school and turn it into their teacher to collect the box tops from it. 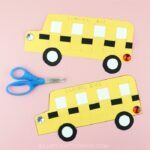 Since they are taped on, they are easily removable and your teacher can send the bus craft back home to add more box tops to as you collect them throughout the school year. Does your school participate in Box Tops for Education™? Learn more about Box Tops at Walmart.